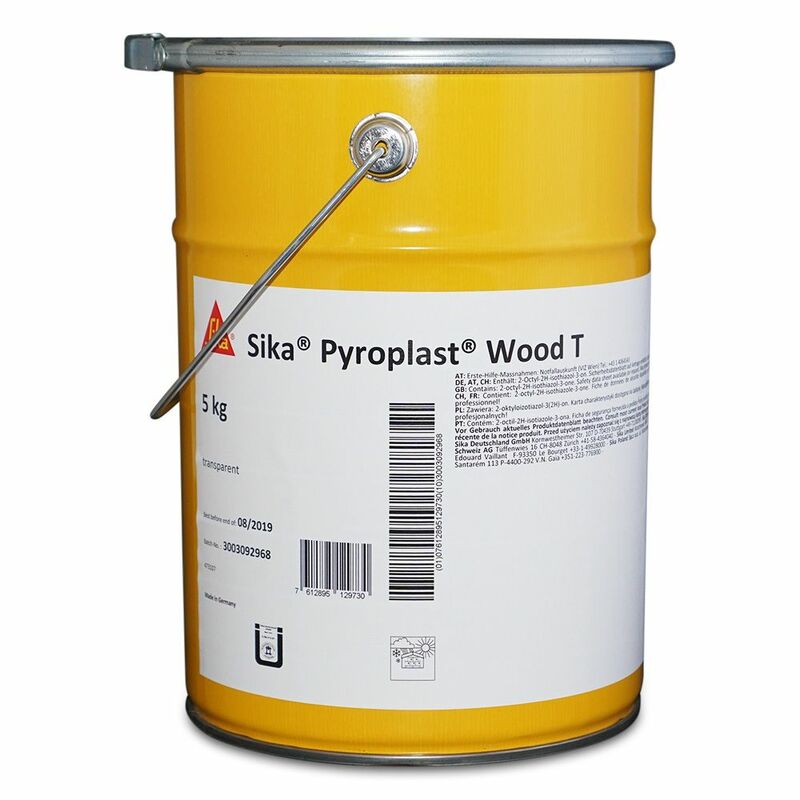 Sika Pyroplast Wood T is a transparent intumescent aqueous coating , a Clear fire protection coating which forms a carbon char when subjected to heat. 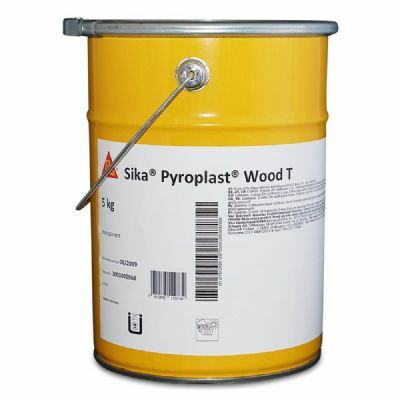 This Pack Contains Sufficient Base to coat 16.7 Square metre. 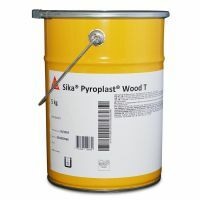 Apply two coats of Sika Pyroplast Wood T to load of 175 g/m² each coat, in order to obtain a very smooth finish by cutting down wooden fibres, light sanding after the first coat may be recommended (i.e. 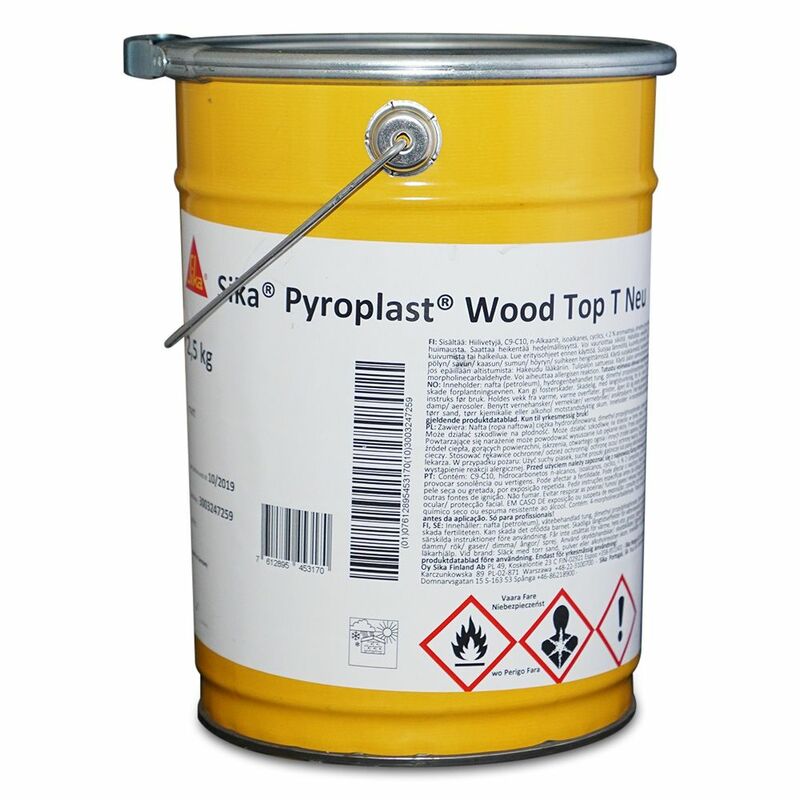 with 150 grade paper).